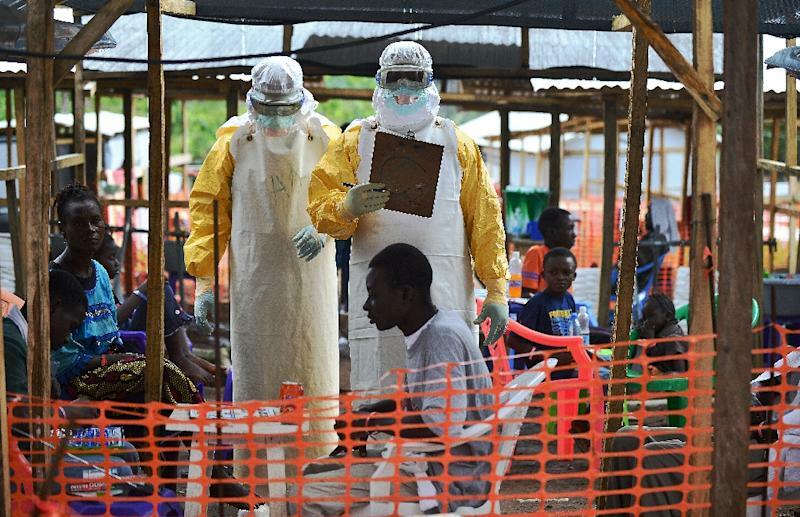 Miami (AFP) - As doctors struggled to treat growing numbers of patients during the Ebola crisis in West Africa, the shortage of one helpful drug may have led to the discovery of a better one. The study came about when a treatment center run by Doctors Without Borders in Foya, Liberia, "ran out of its supply of artemether–lumefantrine (AL) after a sudden spike in admissions to the center" in August 2014, said the report. The substitute drug, artesunate–amodiaquine, was prescribed for all patients with suspected Ebola virus disease who were admitted to the treatment center for a period of 12 days, "with no other known systematic changes in care," said the report. Anti-malaria medicines are routinely given to suspected Ebola patients because the symptoms of the two illnesses -- including fever, headaches and joint pain -- often overlap. Once the Ebola epidemic finally ebbed, researchers realized they had a significant group of patients -- 381 in all from June to October 2014 -- whose outcomes they could compare and analyze. Some had taken the standard treatment AL, others had taken ASAQ. "Given the particular context of this study, we must remain cautious about drawing broad conclusions," said co-author Iza Ciglenecki. "To date, however, ASAQ appears to be a promising path towards an effective treatment. Further preclinical and clinical studies to confirm the effect of ASAQ in reducing the Ebola mortality are urgently needed."